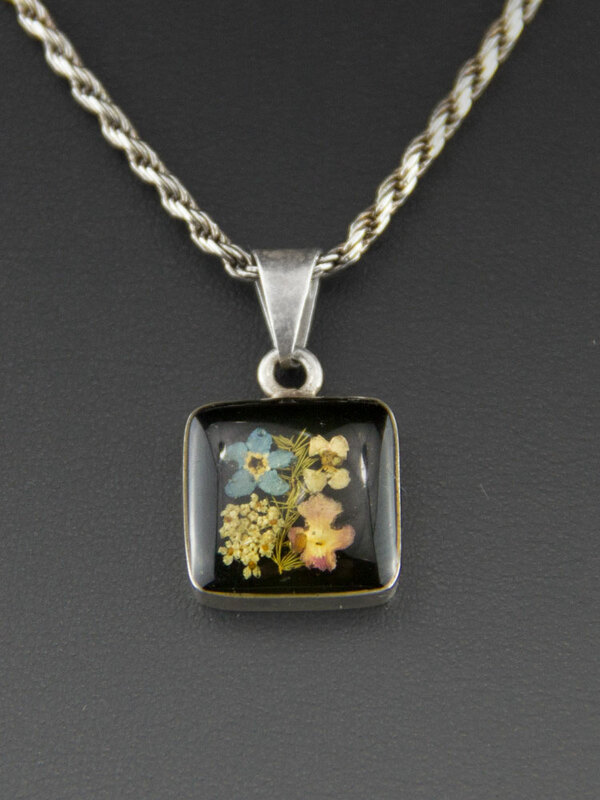 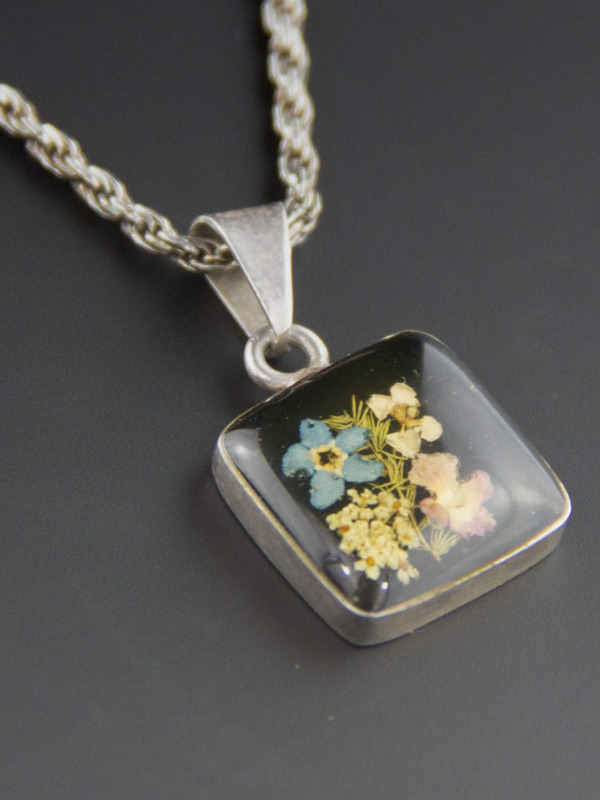 Beautifully made and very sweet tiny bouquet of real dried flowers set in resin in sterling silver. 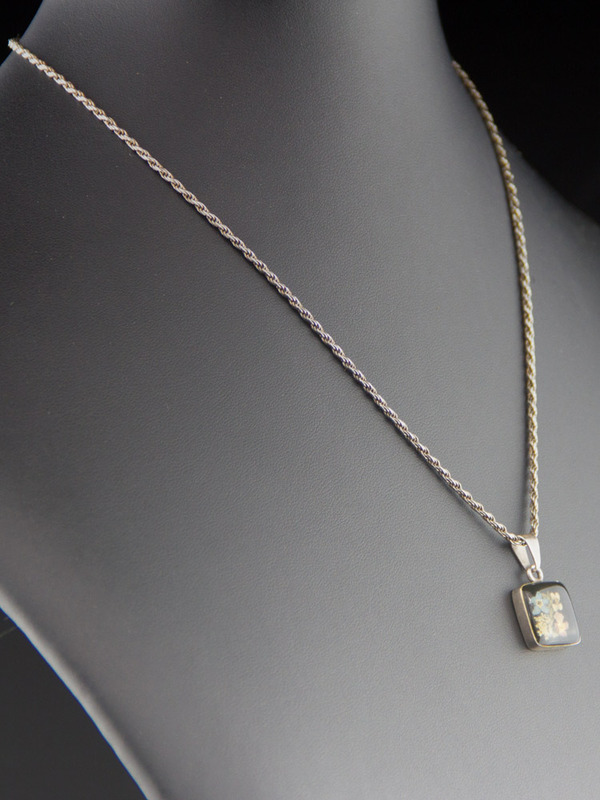 Mexican handcrafted necklace, circa late 70's - 80's, set on a lovely sterling rope chain. 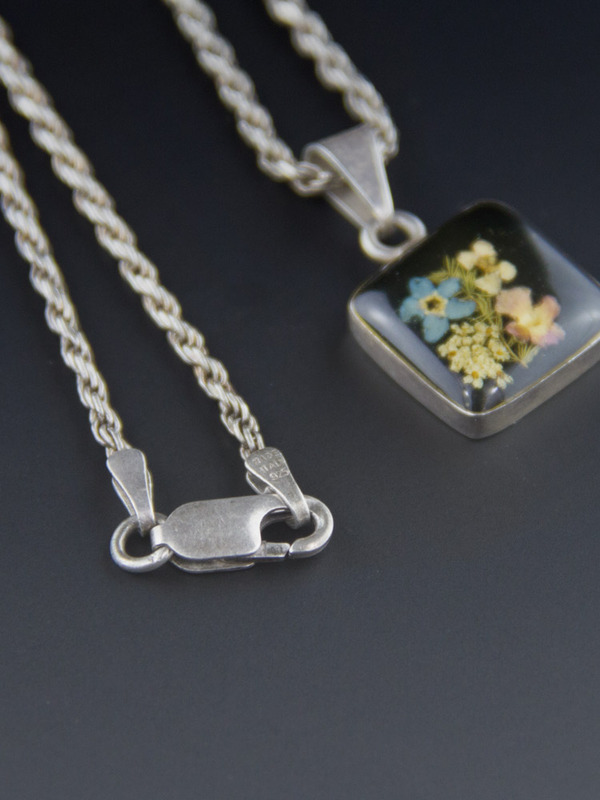 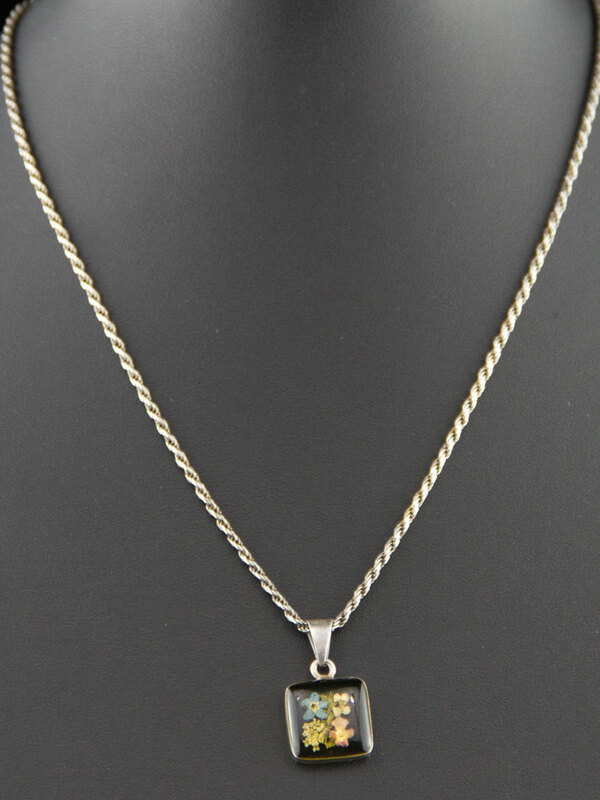 Small and delicate little pendant - very nice.